You will receive notifications of Profile Activity when colleges engage with your profile. Different types of Profile Activity provide unique insight into what colleges are looking for, their levels of interest ,and how closely they are evaluating you. When colleges search for athletes on FieldLevel and you show up in search results, you will receive a Search Appearance in your Profile Activity. If a college coach views your profile or watches your video, you will receive a Profile View and Video View in your Profile Activity, respectively. 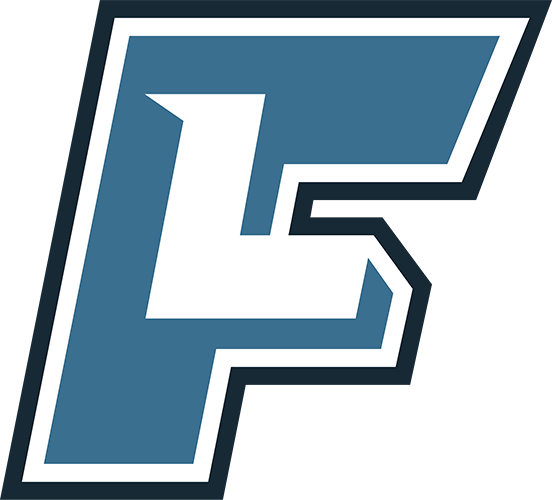 If a college coach follows your profile, you will receive a Follow in your Profile Activity. Athletes on FieldLevel Premium and their coaches can see exactly which colleges are viewing their profiles, watching their videos, and following them. To see your Profile Activity, click here: See My Profile Activity. 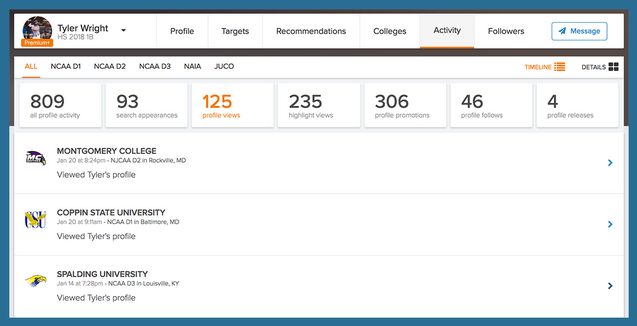 You and your coaches can gauge the level of interest colleges are showing by the types of Profile Activity you receive. For example, if you receive a Search Appearance but no profile view when a college searches, you can infer that they haven't evaluated your profile. However, if a college views your profile, watches your video, but doesn't follow you, speak with your coaches about reaching out to that college directly to learn what additional information they need. You can also reach out directly by writing a Letter of Interest to that college. To learn more about writing Letters of Interest, click here: How to Express Interest to Colleges.